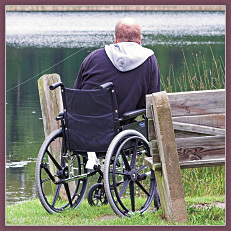 Provides programs and tax services for persons with disabilities. Information on the Registered Disability Savings Plan (RDSP). Provides the entrepreneur with services that will aid in creating a successful business venture. A Federal Government Department responsible for income security and social development programs. Some examples of its programs/initiatives are Canada Pension Plan Disability Benefit, Opportunities Fund for Persons with Disabilities, and Multilateral Framework for Labour Market Agreements for Persons with Disabilities. Funded by the Department of Social Services and Seniors, the DSP can provide supports to adults and children who have an intellectual, physical or neurological disability and have unmet needs associated with their disability. It is a person centred program that provides individual case planning and aims to assist persons with a disability in overcoming barriers to increased independence. The DSP has three components - Child Disability Supports, Adult Disability Supports, and Employment Supports. Canada offers a Registered Disability Savings Plan (RDSP). Planned Lifetime Advocacy Network (PLAN) has an online calculator to help people with disabilities and their families use this financial tool.